MZANSI is famous for boerewors, a sausage that absorbs more culture the longer it stays around. To celebrate the wors and its growing diversity, the big annual competition to find South Africa’s new boerewors champ has a new winner, Yvonne Blaauw, a mother of two from Wellington in the Western Cape! 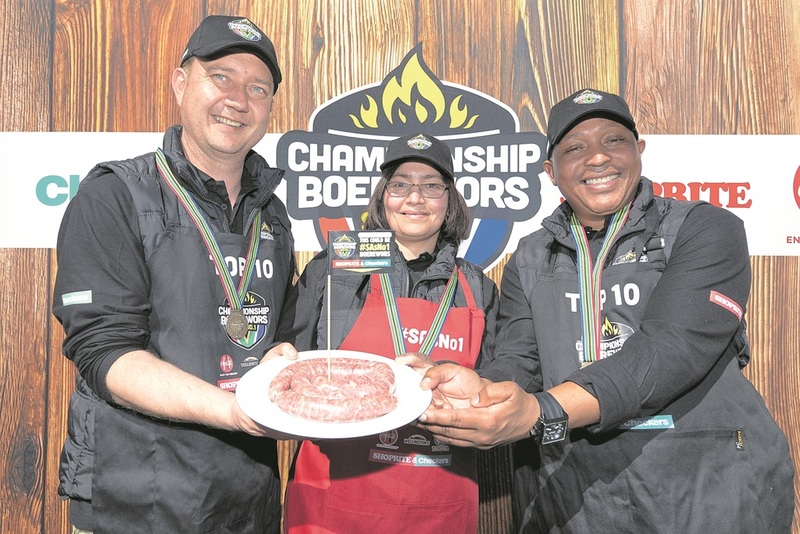 For the past 26 years, Shoprite and Checkers have hosted the Championship Boerewors competition in order challenge Mzansi’s braaing community to create a quality wors with special flavour and character. This year’s contest was changed from the usual format. It started with people being invited to send their special recipe to a panel of judges who would select the best recipe. Contestants do not need to enter regional rounds to avoid the many stages of elimination. The South African Chefs Association was once again tasked with judging the submissions and making sure they were within the competition’s strict guidelines. After that, the judges determined the best 30 submissions and then had the harder challenge of finding the top 10 finalists. The finalists then presented themselves in the Mother City to battle with each other in front of the panel of judges last week. As the winner, Yvonne drives away with a new Toyota Hilux DC 2,8 GD-6 Raised Body Raider, worth over R500 000, but her recipe will be on the shelves at all Shoprite and Checkers stores nationwide from 14 September – just in time for Heritage Day. You can learn why Yvonne became Mzansi’s queen bae of boerewors! Test your creative sausage making. Boerewors must contain at least 90% meat – always beef with either lamb or pork or mix of both. Fat content may not be higher than 30%. Ingredients that make boerewors distinct include coriander, cloves, nutmeg black pepper, vinegar, water and Worcestershire sauce. Recipes may NOT contain bacon, chutney, cheese, peri-peri, curry, tomato sauce, peppadews, green pepper, Parmesan cheese, Aromat seasoning, chilli or venison.